What's my Trails of Frisco home worth? The Trails of Frisco is located in the prime of one of North Texas favorite suburbs. Bordered by 423 to the West, Legacy to the East, Eldorado to the North and Main to the South. Plenty of retail, entertainment and eating options make The Trails of Frisco Real estate market one of the hottest in the state. Community amenities include: walking trails, community pools, tennis courts, a club house and a beautiful golf course. Several major companies (Toyota Motor Company, State Farm Insurance, Liberty Mutual Insurance, FedEx and Nebraska Furniture) are flocking to the North Texas area due to the prime real estate, excellent climate and thriving economy leaving hundreds of employees looking to purchase The Trails of Frisco Real Estate. 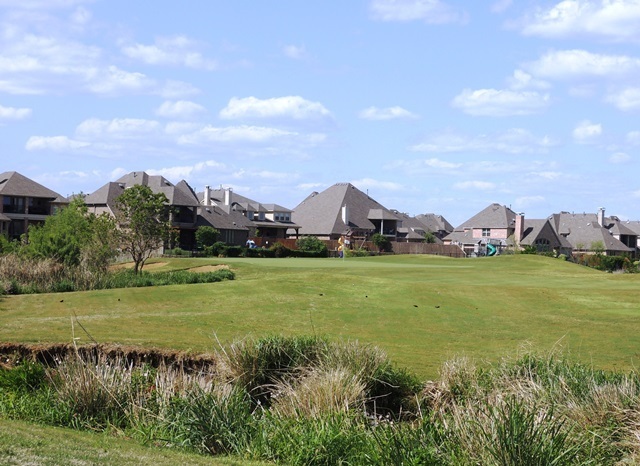 The Trails of Frisco Golf club is one of the Metroplex’s premier 18-Hole golf clubs. Featuring dramatic bunkering, scenic wetlands, and large, undulating Champion greens, the 6,800-yard, par 71 layout offers a challenging yet fair test of golf for players of all skill levels. Complementing the spectacular course is a beautifully-designed clubhouse with a full-service golf shop, bar and grill, and banquet area featuring breathtaking views of the course. World-class golf, amenities and service combined with one of the most convenient locations in the Metroplex make The Trails of Frisco Golf Club the perfect destination to enjoy the perfect game! With so many unique floor plans and home styles its easy to see why so many people are flocking to the community. The Trails of Frisco is primarily pre owned, single family homes and is perfect for the first time homebuyer or a family looking to move up in size. The Trails of Frisco Real Estate ranges from around $250k to $600k. Information about The Trails of Frisco homes for sale and The Trails of Frisco real estate can be found calling or stopping by our office located just north of The Trails of Frisco in Castle Hills. Stop by or call Renee Mears Realtors for a list of currently available homes in The Trails of Frisco. When looking to buy a home in The Trails of Frisco or sell a home in The Trails of Frisco it is always best to use an experienced The Trails of Frisco Realtor. If you are interested in The Trails of Frisco Real Estate call Renee Mears at 972-489-0828. SUPER CUTE+MUST SEE! Rare 1-story JEWEL in The Trails of West Frisco. Beautiful, warm & inviting from the moment you walk-in. Front entry with living area & dining room to your left & a study or bonus room with french doors to your right. Open overall layout with kitchen overlooking breakfast+family room. Gleaming laminate hardwood flooring throughout-NO CARPET! Master retreat+bath with double vanities, separate shower, garden tub, & walk-in closet. Pool sized low maintenance backyard with impressive extended patio & new fence awaits you out back. Conveniently located near DNT, Frisco x2019;s 5 BILLION DOLLAR MILE, shops & restaurants galore etc. 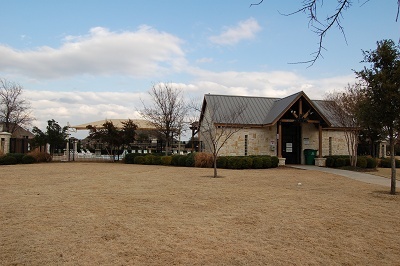 Enjoy The Trails community parks+trails & the highly rated Frisco ISD. This 3 bedroom, 2 bath, 2 car garage home offers a quiet neighborhood in the popular community of Frisco with easy access to Sam Rayburn Tollway and the North Dallas Tollway which makes your commute easily assessable. Purchase will include the refrigerator, washer and dryer and other amenities. Impressive home in a prime location in Frisco!Pristine curb appeal & welcoming front porch!Grand 2 story entry,beautiful staircase,soaring ceilings,gorgeous,wood floors.Freshly painted.Flexible floorplan.Huge storage closet under stairs.French doors in downstairs bedrm with full bath!Spacious,great rm with stately mantel & wall of large windows.Ideal for entertaining!Painted kitchen cabinets,high-end,deep sink,Bosch dishwasher,ss appliances.Serene master retreat,spa-like master bath,over-sized vanity,huge closet!Light, bright, clean & fresh!Move-in ready,impeccably kept home.Frisco schools,Wakeland HS!Community pools,tennis courts,jogging trails.Close to great shopping,restaurants & entertainment!Welcome home! Location, amenities, and value make this fabulous tree-lined home a perfect 10! Entertaining, open floorplan with large living room, vaulted ceilings, custom cabinetry, decorative fireplace, abundant windows with natural light and private views of professional landscaping. Eat in kitchen with black appliances and island. Master bedroom down, and three bedrooms plus gameroom up. Oversized master suite has sitting area and bay windows, dual sinks, separate tub and shower, and walk in closet. Fresh paint, new carpet, new microwave, new dishwasher, new HVAC unit. The Trails is a master planned community just off the DNT and offers swimming, golf, tennis, hike and bike trails, and much more. Gorgeous 2 story home on a landscaped interior lot in the Trails. Lots of space for the whole family with 4 spacious and versatile bedrooms and 3 full baths. Huge master suite includes a jetted garden tub, separate shower and vanities, and a walk-in closet. 2 living areas downstairs that x2019;s perfect for entertaining guests and loved ones, and a game room on the second floor with surround system wiring. Open kitchen has plenty of built in cabinets and a kitchen island, and breakfast room overlooks the family room with a great view of the backyard. Don x2019;t miss out and book a showing today! Striking 4-BR home w FRESH PAINT. Faces neighborhood park & pool. Eye-catching tiered entry path leads to leaded glass door, opening into dramatic foyer. Front dining room features trey ceiling, glamorous lighting, & elegant built-ins. Adjacent study w french doors & built in library shelves & desk. Front hallway leads to 3 bedrooms & guest bath. Elegantly appointed kitchen adjoins lovely breakfast room w plantation shutters, & opens to comfortable family room w vaulted ceiling, built-ins, & wood burning fireplace. Serene master suite boasts an elegant Master Bath. Upstairs bonus room can be second family room or playroom. Restful secluded back yard. Recently replaced roof & fence. ZERO-Fee loan available. Welcome Home to this beautiful property featuring a large lot, over-sized backyard with putting green 4bd w study and 3car property. Property features: granite counters, wood flooring, recently upgraded appliances and carpet, spacious laundry rm. The abundant kitchen, family rm and nook are a MUST SEE! Perfectly ideal for large gatherings. This home is located in West Frisco and within walking distance to award winning elementary school, community pool, park and playground. Highly Sought After Trails of West Frisco boosts Two Large Swimming Pools, Golf Course, Tennis Courts, Basketball Court, Playground, Parks, Catch and Release Pond, Creek, Walking Trails, etc. LOCATION, LOCATION, LOCATION!! Beautiful 2 story home in a landscaped interior. With 4 bedrooms and 3.1 baths, there x2019;s plenty of space for everyone in the family and guests. The master bedroom is downstairs and it comes with 2 walk-in closets and a luxurious master bath with a garden tub, a separate shower, dual sinks and separate vanities for stress-free mornings. The chef of the house will surely enjoy the spacious kitchen with plenty of storage and counter space. It even has a butler x2019;s pantry and a kitchen island with a breakfast bar for added seating. 2 spacious living room downstairs, and another one upstairs -perfect for entertaining! Or, move the party outdoors during summer and host a party in the large backyard. A must-see! Open and bright home conveniently located in The Trails of West Frisco. Front door opens to study and dining room w wood floors. Split staircase. Large kitchen with island, granite, gas cook top, double oven and butler's pantry. Powder bath off kitchen. Family room has wood floors, grand two story ceiling, plantation shutters and fireplace. Master with vaulted ceilings and sitting area. MBR features jetted tub and large frameless shower. Upstairs has open game room, 3 bedrooms and 2 full baths, including a Jack & Jill. Backyard features large extended flagstone patio perfect for entertaining. 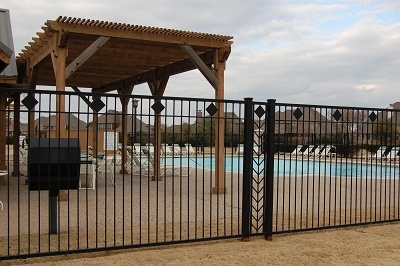 The Trails HOA offers 2 community pools, tennis courts, park and walking trails. Close to DNT, shopping and restaurants. Meticulously maintained & updated home in the highly sought after Trails subdivision of West Frisco. This desirable floor plan features an open concept and is perfect for entertaining. Kitchen has breakfast bar, island, SS appliances, granite counters, large butler's pantry and spacious breakfast area. Master bedroom is downstairs and three bedrooms up. There is a magic hidden space between two of the bedrooms that could be play area or study. This home is freshly painted inside and out with soaring ceilings, hardwood and travertine floors down with new carpet upstairs. 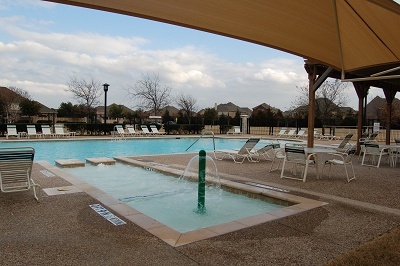 Enjoy community pools, new hike & bike trails, tennis, & golf available. Walking distance to Elementary & Middle Schools. Updated home backing to The Trails. Wood & Tile throughout house. Frml Liv & Din w-Serving Station. Oversized KT features & abundance of counter & storage space w-center Island. Recent updates include Granite C-tops, SS Sink & Faucet, Backsplash, Cooktop, & more. Lg Fam Rm w-FP & a wall of wndws overlooking the Trails. Mstr Suite down w-Nursery or Office located next door. Updated Mstr Bath with his & her Vanitites, Granite Countertops, Glass Bowl Sinks & Faucets. Separate Tub & Shower. His & Her Walk in Closets. Dramatic Wood Staircase w-Iron Spindles. 3 BR's & 2 Baths up. Lg Gmrm up.. N'hood Pools,Trails, Playgrounds & Golf Course in The Trails. Updated Highland home located on quiet one way street in The Trials. Short distance to elementary and middle schools.Tall ceiling entry, formal living room and private study. Features 4 bedrooms, 4 full baths, open kitchen with quality granite counters, desk area and breakfast area open to family room. Large walk-in pantry with wine storage area. Game room up with nicely layed out bedrooms. Premium ceramic tile throughout first level. Plantation shutters throughout both levels, master bath remodel features large glass block shower. Numerous improvements and upgrades over past 6 years and includes Roof and gutters replaced in 2019 along with fence stain. This one is ready to go.